This week we interview Judy Meyer. 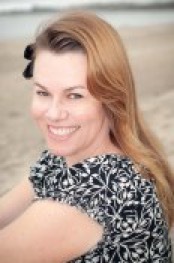 Judy is a holistic mental health practitioner, mental health advocate and founder of the Alternative Health Revolution. We talk about Judy’s experience of the psychiatric system, her excellent and informative website alternativementalhealthrevolution.com and her advice for those struggling with antidepressant withdrawal. How Judy was prescribed Prozac at 19 years old. That there were no discussions with her Psychiatrist about adverse effects or issues withdrawing from the drugs. That Judy feels the medication contributed to an attempt to take her own life. How Judy decided not to take the medication after a few weeks. That in her mid-30s, Judy had a brief time on Wellbutrin, but a spiritual teacher helped Judy to stop. How Judy has spent time putting together a library of information on alternative approaches to mental wellness. That Judy learned much from the work of Abram Hoffer MD and Dr. Andrew Saul and the pioneers of Orthomolecular medicine. How Judy wants to help people be able to easily find information on different methods of supporting mental health. Judy’s website alternativementalhealthrevolution.com that provides this information and also has user blogs too. That more than 100,000 people in the US are killed every year just by taking their pharmaceutical drugs as directed. The fact that many pharmaceutical drugs contain more besides the active ingredient that can affect the body in various ways, like Fluoride in Prozac. That people are different so a solution that works for one person may not be suitable for another but that we need to try many approaches to find the right solution for us. That Epsom salts baths can help with magnesium deficiency which can be common with those withdrawing from psychiatric drugs. That probiotics and Kiefer can help with the gastric issues that are commonly experienced as an adverse effect or a withdrawal effect of psychiatric drugs. That these gastric effects arise because of the role of the gut in the synthesis of serotonin. How Vitamin D is important for mood and that if we avoid the sun it can be difficult to get this important vitamin in sufficient amounts. That Manganese can help with the symptoms of tardive dyskinesia (a neurological disorder characterised by involuntary movements of the face or jaw). How Judy now sees her mental health struggles as a positive thing because they led to her work to help and advise others and thinking that way is empowering. That Judy would love input to the website such as adding new practitioners and new blogs too.